#Mark – Is a Hashtag a Use in Commerce? What are Trademarks and Why Do We Have Them? Trademarks designate the source of goods in commerce and servicemarks designate the source of services in commerce. An example of a trademark is the polo player on polo shirts. 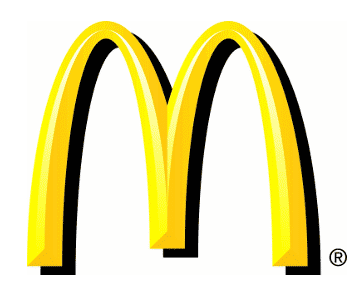 An example of a service mark is the McDonald’s M. However, just about anything can serve as a source designator and be a trademark. The Supreme Court held that even a color can be a trademark. What Are Hashtags and Can They Be Trademarks? Hashtags are additions to social media posts that contain meta-data. For example, a couple may create a hashtag for their wedding. This allows people using social network websites, like Twitter, to easily upload and find posts and photos about the wedding. One interesting question is whether hashtags can be trademarks. The official position of the USPTO, the agency that keeps the registry of trademarks, is that hashtags can be trademarks. Given the wide variety of things that can become hashtags, there is good reason to believe that hashtags can serve as trademarks. Many companies are turning to hashtags to advertise. In 2013, over half of the Super Bowl advertisements featured hashtags. Hashtags are dynamic ways to interact with customers. There are many current ad campaigns that ask consumers to upload positive stories about a good or service and tag it with a specific hashtag. These ad campaigns do not always turn out the way that a company would want. For example, a 2015 Coca-Cola ad campaign asked people to tag negative posts with #MakeItHappy. The company would then use an algorithm to turn the words of the tweet into ASCII art. A rogue internet troll took advantage of the campaign. She created a Twitter handle (username) called “@MeinCoke” and had a robot tweet out lines from Adolf Hitler’s autobiography, Mein Kampf with a #MakeItHappy hashtag. Coca-Cola pulled the ad campaign. Since hashtag ad campaigns are desirable, but they can get out of hand, companies want to have more control over hashtags and may turn to the law. Registering a trademark requires a use in commerce by the registrant. And infringing a trademark requires use in commerce by the defendant. These use in commerce requirements may be different. One way for the defendant to win a case on summary judgment, which is cheaper than a full jury trial, is for a defendant to show that their infringing behavior was not a “use in commerce.” This blog post will examine under what circumstances the use of a hashtag on Twitter that serves as a trademark or servicemark constitutes a use in commerce. A basic question is whether or not anything on Twitter can be a use in commerce. A court answered this question in Chobani v. Dannon. Chobani had an ad campaign called “Simply 100” Greek Yogurt.” It compared Chobani brand yogurt to competitors, like Dannon and General Mills. The ad campaign focused on how Dannon and General Mills used synthetic ingredients and implied that these ingredients were not safe to consume. Dannon and General Mills sued and won an injunction of the ad campaign, including on Twitter. This indicates that the use of a misleading ad on Twitter is a use in commerce. The case did not touch on the use of hashtags. However, implicit in the holding is that use of an ad campaign on Twitter is a use in commerce. The BCG case hints that a district court can find that simply using a hashtag to promote something could be a use in commerce – especially if the hashtag is confusingly similar to a competitor’s mark. Significantly, the use in commerce analysis is usually separate from an analysis of likelihood of confusion, but they seem tied together here. In another case, a CrossFit competitor called itself KrossFit. The court found for the plaintiffs, but was hesitant to find that defendant’s use of the hashtag “#crossfit” counted towards intent to derive benefit from Crossfit in the likelihood of confusion analysis. The court does not answer whether the use of the hashtag was a use in commerce, but it implies it was. It seems that when a defendant uses a hashtag with a commercial purpose such as advertising or promotion and the defendant is in a similar business as the owner of the mark, then that qualifies for use in commerce under the Lanham Act. To understand the legal analysis of how companies could use the Lanham Act co to exert control over rival companies, trolls, and legitimately dissatisfied customers hijacking a hashtag, one can look at what happened with Google AdWords. Google AdWords is a service offered by Google. People can buy advertisements keyed to specific search words on Google. These ads are offset on the results page of a search. In the 90s and 00’s, courts had to deal with legal disputes involving Google AdWords. Companies would by their rival’s AdWords. These rivals would sue the buyers and Google. Google and other defendants wanted to win the suits on motions to dismiss, so they argued that AdWords were not a use in commerce. Unfortunately for Google, many courts decided that they were uses in commerce. Thus, the inquiry became whether the ads caused confusion, which was a question of fact that led to expensive jury trials. In 1-800 Contacts, Inc. v Lens.com, Lens.com bought “1800Contacts” from Google as an AdWord and 1-800 Contacts sued. The court noted that “[b]because a keyword is ‘invisible to potential customers,’ and merely operates as a ‘pure machine linking function,’ some courts have concluded that it is not a use in commerce. In contrast, other courts have concluded that use of another’s mark ‘to trigger internet advertisements for itself,’ is a use in commerce.” The court then went on to hold that ‘use in commerce” occurs when a mark is “used or displayed in the sale or advertising of services and the services are rendered in commerce.” Since, plaintiff’s mark was used to trigger an advertisement that sold defendant’s services, it fit the bill. In Rescuecom Corp. v. Google, Rescuecom sued Google for selling its mark as an AdWord. The Second Circuit held that Rescuecom’s complaint should not be dismissed on a 12(b)(6) motion because Google’s sale of Rescuecom’s mark was a use in commerce. In Naked Cowboy v. CBS, the plaintiff, naked cowboy, a well-known street performer in NYC, sued CBS for, among other things, tagging a video on YouTube that featured a clip from The Bold and the Beautiful with the words “naked” and “cowboy.” In the clip, an actor was dressed up in the naked cowboy’s signature look – underwear, cowboy boots, and cowboy hat. The court held that “[p]urchase from YouTube of AdWord advertising for the term ‘naked cowboy’… does not constitute ‘use in commerce’ because Defendants did not ‘place [the terms] on any good or containers or displays or associated documents, nor do they use them in any way to indicate source or sponsorship… The only use of Plaintiff’s registered work mark in commerce… is CBS’s use of the term ‘Naked Cowboy’ in the title of its YouTube clip.” In other words, because the video was not commercial in nature, only the title could be considered a use in commerce. The clip was not an ad. The court then said that the use on the title was OK because the Lanham Act permits “use, otherwise than as a mark, … which is descriptive of and used fairly and in good faith only to describe” the user’s product. Moreover, the FTC has adopted a policy to make it clear when posts on Twitter stem from a contest by a corporate sponsor. The agency gave Cole Haan a slap on the wrist for a contest that gave a prize to the best post tagged #wanderingsole. The agency found that the hashtag did not do enough to disclaim that the photos were posted for the purpose of receiving a monetary prize from Cole Haan. The agency now requires a disclaimer when a company posts a cash prize for events. An important question about whether the Lanham act can protect hashtags on Twitter from trolls and dissatisfied customers is whether the use of a hashtag is a use in commerce. Unlike Google AdWords, one does not purchase hashtags. One simply uses a hashtag. One also typically doesn’t buy products on Twitter, but Twitter can serve as a conduit to commerce. One can also see the hashtag on Twitter, while one does not see AdWords. There are many different possible uses of a hashtag and all of them require different analyses. Some uses are: a company using a rival’s hashtag to promote their goods, a reviewer using a company’s hashtag, a troll using a company’s hashtag for nonsense purpose, a consumer using a company’s hashtag for a contest, and a consumer communicating use of a company’s product with a hashtag. The internet troll cases are tougher. On one hand, hashtags are not used to actually sell a product. Hashtags are not used in a trademark sense according to the rules set out by the Lanham act for the registration of trademark. They are not affixed to goods at the point of sale. They also do not cost anything. On the other hand, trademarks can be used for advertising. If the troll is getting paid to defame, then the use of the hashtag is a use in commerce. If the troll is just doing it for fun, then the troll’s action should be considered from the perspective of a reasonable third party. Does it look like the post was sponsored or affiliated with the company? If so, it is a use in commerce. This analysis essentially has the likelihood of confusion test subsume the use in commerce language, but could still be decided on summary judgment. It is similar to the analysis in the Naked Cowboy case. It becomes more complicated if the troll is a famous internet troll that is trolling for self-promotion. The troll is exploiting the goodwill of the company’s mark to gain clicks and fame. That leads to money. The troll is herself a service. In that case, there may be initial interest confusion. People search #coke and find a troll. The internet user may not think that an affiliation exists between the troll and the company, but may be amused and look at things the troll does and stop looking for Coca-Cola. If there is no actual confusion, should the law protect this exploitation of goodwill and increase in consumer search costs? I think it should not protect the goodwill if the services offered by the troll (entertainment) are different than the product offered by the company. If it increases the search costs significantly (coke goes to the second page of search results when you search #coke) then it will make it harder for consumers to find what they are looking for. But Twitter is not really a marketplace, so that is not a problem on the Twitter platform. If Twitter were to become more of a marketplace, that would complicate the analysis. So assuming coke registered #makeithappy as a trademark, could coke successfully sue @meincoke for their use of the hashtag on Twitter? The troll in this case was acting for a nonsense purpose. To a third party, it would not look like Coca-Cola was sponsoring the tweets. And the comedy service offered by the troll does not compete with Coca-Cola Therefore, trademark law should not see this as a use in commerce. Should Twitter itself be liable? It is not selling the marks, but it is freely allowing anybody to use them in connection with the sale of goods. But can the ISP be liable? In Tiffany v EBay, the Second Circuit decided that EBay was not liable for hosting auctions for counterfeit Tiffany goods. eBay did not induce counterfeits and took them down as they happened. The court held that eBay did not have an affirmative duty to seek out counterfeits, they must have contemporary knowledge of counterfeits and fail to act for liability to attach. Additionally, the court thought market forces would cause eBay to search out counterfeits. If eBay was full of counterfeits, people would stop using it. Here, Twitter presumably profits from use of counterfeit marks (more users and more clicks) and people are less likely to stop using Twitter if there are confusing marks. Twitter isn’t primarily a market place. But, it would be untenable for Twitter to have to search out infringing uses of marks. Here, as long as they similarly take down confusing marks, then Twitter should not be liable. The FTC already regulates company’s using consumers to generate misleading goodwill – and making it clear that a hashtag was used because of a contest should allow the company to control it. So if a company wanted to take down a consumer entry to a contest, it should be able to. A reasonable third party would think that the post and the company are related. So even though use of a hashtag is free, the use of a hashtag can be a use in commerce. It would be interesting to see if companies could successfully overcome a motion to dismiss because it is not a use in commerce. It is worth noting that by using Twitter, you agree that your posts can be taken down for uses that could cause confusion, so it is very unlikely that a court of law would need to get involved. In other words, the terms of service do not require a “use in commerce” to be taken down, only confusion. But confusion is not always assumed by Twitter. If you create a parody account that is clearly marked as such, Twitter will not take down your post. This could lead to a lawsuit if Twitter were to leave a troll’s account up that a company did not like. But suing a troll, would also not be a good PR move. Twitter’s trademark policy, in which they look to the likelihood of confusion (implicitly for determining use in commerce), is similar to the test I propose. If a wanna-be social media star attempted to appropriate a brand’s hashtag to gain notoriety, it would be interesting to see how a court of law would determine if the hashtag was a use of commerce. The court should look to the intention of the troll, “use, otherwise than as a mark, … which is descriptive of and used fairly and in good faith only to describe,” and whether a reasonable third party would see a connection between the brand and the troll to determine whether a “use in commerce” occurred.